myfaayda.com is only online shopping midway web blog. We do not involve in any transaction with the end user directly. 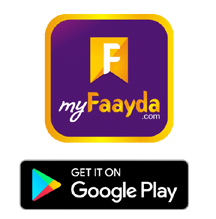 We are only mediator of the providing content related online shopping stores and their products or service etc., Via using our app or website….as myfaayda will not responsible for any dispute or damage or anything. We suggest our user to only purchase or buy or select anything via oursite as per their own risk. Or if they have any problem regarding with product of service on any shopping portal which you go though with our link….then please contact their customer service directly.